Salt Lake City,Utah - BYU came into Salt Lake hoping to knock off Utah and almost did their job. BYU had the lead in the first quarter on the ground from Jamaal Williams' 72 yard TD and the Utes would answer back with a 42 yard FG from Senior Chris Van Orden. Utah then looked like they were going to pull away and win this with ease scoring 21 points in the 2nd. WR Andre Lewis had 2 TD receptions from Tyler Wilson who had his best game of the season. Jarrell Oliver tacked on another TD to his total from 2 yards out. BYU would answer back with Mitch Matthews TD reception from Taysom Hill to pull within 10 going into halftime. Mitch Matthews would get his 2nd TD catch in the 3rd quarter from 10 yards out, but the Utes would dominate the rest of the game with a Jarrell Oliver 17 yard TD on the ground and the Ute's defense would also force a safety near the end of the game to knock off BYU 33-21. Tyler Wilson had his best game of this season, 13-20 passing for 304 yards 2 TDs and 0 INTs. When asked about how he felt who he did Tyler said,"Well you saw me out there? It was my best game so far this season. Everything was just clicking, WRs getting opened, and the line held up for most of the game". Jarrell Oliver has also kept his outstanding season going on 28 rushes for 175 yards and 2 TDs. Jarrell talked to me after the game about how his season has gone so far,"Well unfortunately it came off Lucky(Radley) getting injured in the first game but I have stepped up big for this new offense and I will continue this pace until Lucky returns from his injury later on in the season. I feel confident this will be a special season for me and the team you just wait guys." The top 2 WRs contributed huge as Dres Anderson had 6 catches for 147 yards and Andre Lewis had 4 catches for 126 yards and 2 TDs. The pass defense stepped up in a huge way today. Taysom Hill was accucrate with his passes but only threw for 136 yards and was sacked 6 times, 3 times by Nate Orchard who brought his total up to 11 on the season. The next highest to come even close to Orchard on the team is Viliseni Fauonuku with 2 sacks on the season. "Nate is having a great season so far and is a big part of why we're 3-0 right now. I believe he is the best defensive end in the country right now." said Coach Meredith. The run defense who had been the backbone of this team so far did not show up today as they gave up 147 yards on 29 carries total. The Utes have been averaging 60 yards given up this season on the ground so this isn't the defense we are used to seeing so far. Well this brings this Utah Utes Update to a close. 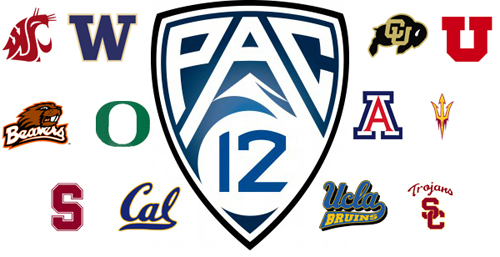 Next up is the toughest teams in the PAC-12 all back to back to back(USC,Stanford,Oregon). This stretch will show if the Utes are forreal this season or they still need more work to get up to where these 3 teams are at in the PAC-12. Well until next time this is Sam Wickey signing off.